Small and Medium businesses need access to the right tools to be fast, flexible and efficient so they can focus on developing their business and increasing customer loyalty. Every call is a chance to strengthen your customer relationships and drive business growth. That’s why Jabra offers you a range of professional audio devices designed with SMEs in mind. With industry-leading noise cancellation and crystal-clear sound, you can make the most of every customer opportunity. Our products work out of the box with a wide range of devices and offer multiple connectivity options. They let you speak to customers anytime, anywhere - and never miss another call. With our exclusive SME support and online portal, you get all the resources you need as your business grows, along with unique offers. Take your calls to a new place with Jabra. 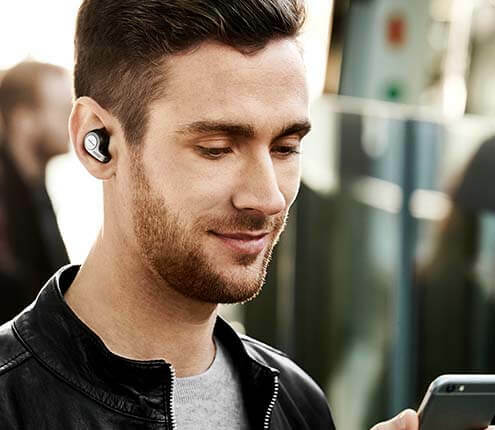 A professional headset with outstanding HD sound quality, the Jabra Evolve 40 offers Industry-leading noise cancellation and an integrated busy light feature, so you can focus on your call - wherever you are and whatever noise level is around you. With connectivity options via USB and 3.5mm jack as standard, the Jabra Evolve 40 gives you ultimate flexibility to connect to laptop or smart device for any call. If you need to transfer a call from your laptop to your smartphone, Jabra Intelligent Call Transfer lets you achieve this without having to hang up the call and redial. Smooth, simple and effortless to keep your conversation flowing. On the move, working from home or in the office, the Jabra Speak 510 is the perfect tool for setting up a meeting in seconds and turning any space into a conference room. A unique portable conference speakerphone enhanced with Bluetooth®, it can be connected to laptops, tablets or smartphones. 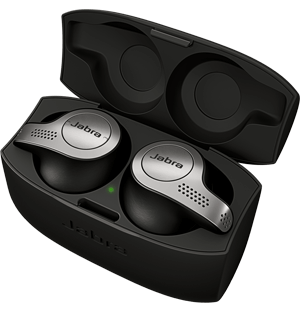 Plug-and-play functionality makes the Jabra Speak 510 easy to use and removes the need for IT support. An ideal blend of functionality and portability enables effective communication from anywhere. Crystal clear sound makes it ideal for conference calls or listening to music.